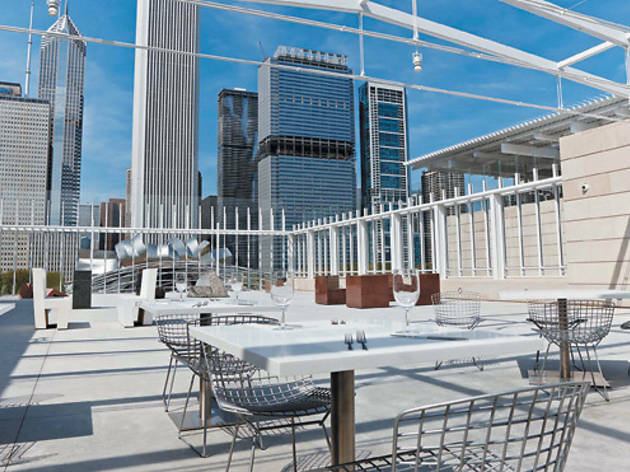 If you’re looking for the art on this patio atop the Modern Wing, rest your gaze on the bird’s-eye view of Millennium Park. But if you’re looking for the masterpieces, those are on the menu. Our favorite: Tony Mantuano’s pizzetta, which is almost always topped with copious amounts of that decadent cousin to mozzarella, burrata. With a slice of this in one hand and a cocktail in the other, you could fall into a blissful reverie here. Unfortunately, you could also be awoken from that reverie by the wail of some tourist’s kid. CROWD 5 It may respect art, but not quiet time. 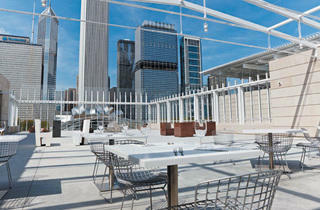 SPACE 9 Renzo Piano’s architecture is a work of art in itself.